Does an overly-wide trade mark specification indicate bad faith? Is section 32(3) of the Trade Marks Act 1994, which requires an intention to use a UK trade mark at the time of filing, compatible with the European Trade Marks Directive (2015/2436/EU)? Does an overly broad specification render the entire trade mark registration invalid? If so, will this lead to an increase in invalidity proceedings for “kitchen sink” trade mark specifications? Should third parties be able to oppose under section 3(6) even if they have no rights? On 4 July 2018, the Registrar gave his decision in opposition proceedings brought by DTTM Operations LLC against an application to register TRUMP TV. This was UK application number 3193965 filed by Trump International Limited seeking protection in relation to various telecommunications and film production services in classes 38 and 41. 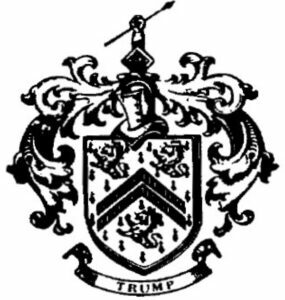 The opponent is the owner of registrations for the word TRUMP (EU Trade Mark number 10289064 in classes 9, 28, 41 and 43) and the TRUMP logo shown below (EU Trade Mark number 10289064 in classes 18, 24, 25, 28, 36, 41, 43 and 44). It claimed that, under section 5(2)(b) of the Trade Marks Act 1994, the goods in its registrations including cash registers, fire-extinguishing apparatus, animal skins and whips are similar to, for example, satellite communication services and publication of electronic books online. The opponent also claimed under section 5(3) of the Act that it has a reputation in the word TRUMP in relation to golfing equipment and sports and conference facilities and that, under section 5(4) it has rights in passing off which would be infringed through the use of TRUMP TV. Finally, the opponent alleged that the application was filed in bad faith under section 3(6). The Hearing Officer considered Red Bull GmbH v Sun Mark Limited and Sea Air & Land Forwarding Limited  EWHC 1929 (Ch) and directed himself to determine whether, at the time of filing, the opponent was acting in bad faith. He considered the evidence filed by the opponent and noted that this mainly addressed the reputation and goodwill aspects of section 5(3) and 5(4)(a) and that the opponent is not linked to Donald Trump, who was a presidential candidate at the time of the application. The opponent’s evidence also included an article from World Trademark Review which speculated as to the applicant’s owner’s business model. 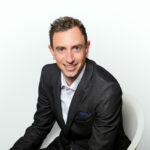 In this respect, the Hearing Officer noted that the fact that the applicant’s owner was the owner of a large number of other companies and trade mark registrations “…cannot of itself sustain a claim of bad faith for any and all applications by Mr Gleissner or companies under his control”. In his assessment, the Hearing Officer acknowledged that Mr Gleissner is known to have a professional connection to film production services such as those set out in class 41 of the application. He is also well known for his investment in technology and communications businesses, particularly start-ups. Nevertheless, the Hearing Officer stated that he was uncertain about the applicant’s motives and, despite the opponent stating that it was not linked to Donald Trump (see paragraph 52), found it likely that the applicant’s intention was to gain some advantage from him. In summary, the marks are not identical and there was no registration for TRUMP in relation to the class 38 services in the application; the unrepresented applicant filed only a basic counterstatement, no evidence, no response to the other side’s evidence and no written submissions; the Hearing Officer recognised Mr Gleissner’s professional background in relation to the services but found, not only that he was uncertain about the applicant’s motives in filing the application, but also that he was acting in bad faith and that its actions were so unequivocally egregious that the applicant should pay off-the-scale costs of £15,105.70. On the face of it, this is a fairly ordinary case but with an extraordinary outcome and costs award: two parties are competing for a similar trade mark, one is the owner of a golf course and the other a telecommunications and film production entrepreneur. Yet the Hearing Officer has inferred bad faith at least partly on the grounds of a lack of intention to use under section 32(3). That is arguably contrary to the Trade Marks Directive 2008/95/EC, which is the precise question referred to the Court of Justice in Sky Plc & Others v SkyKick UK Limited & Other  EWHC 155 (Ch). The decision is on appeal to the High Court. Appleyard Lees IP LLP is representing Trump International Limited in the High Court.